For more than 75 years, London’s underground postal railway - Mail Rail - has been a vital artery in Britain’s communication network, hidden from view. Now, thanks to Digital Projection’s award-winning laser projection systems, Mail Rail has been transformed into an exceptional and unique visitor attraction, preserving this important piece of British history and sharing it with generations to come via an immersive, innovative and impactful exhibition. When Mail Rail stopped operating in 2003 as a result of post office closures and cheaper road transport, a handful of engineers kept it in good condition just in case it was ever needed again. 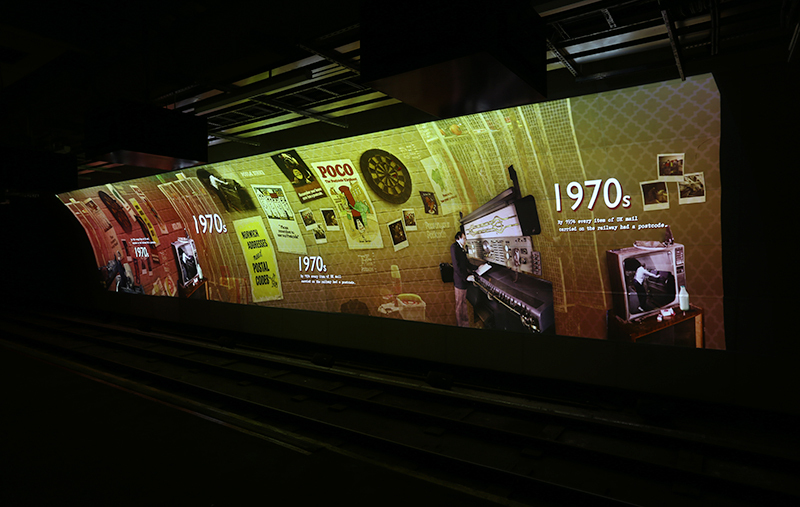 Fast forward to 2015, and the Postal Museum took over a section of the line with a vision for an exceptional legacy – turning Mail Rail into a unique museum where visitors could take a journey through history. The attraction, London’s first new museum in a decade, opened in September 2017, and welcomed 15,500 visitors in October 2017 alone. Descending into the former engineering depot of Mail Rail, visitors board a miniature train through the stalactite-filled tunnels to be transported back in time via a mesmerizing 20-minute audio-visual experience - enabled by Digital Projection’s award-winning projection products. A visual journey back in time through the original tunnels and station platforms, Mail Rail takes visitors deep below Royal Mail’s Mount Pleasant sorting office to discover the original and largely unchanged station platforms. 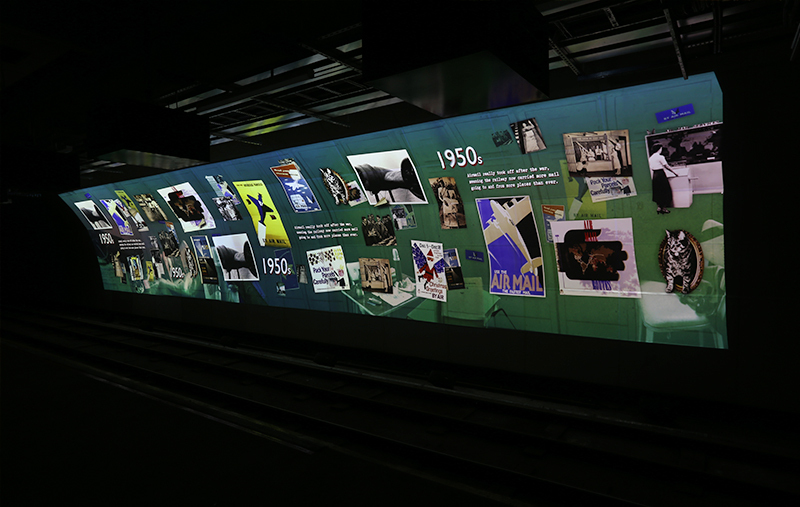 Before boarding the train, visitors encounter a four meter wide projection movie introducing the story of Mail Rail, courtesy of a Digital Projection E-Vision Laser 8500 projector. The 240 sq/m open space is also used as a venue for corporate events, with the projector capable of being linked to additional sources in such instances. Visitors then board the train and are taken on a 15-minute ride through the tunnels, with an on-board commentary explaining the history of Mail Rail as they travel down to the first platform, where they are transported back to its 1930s heyday. 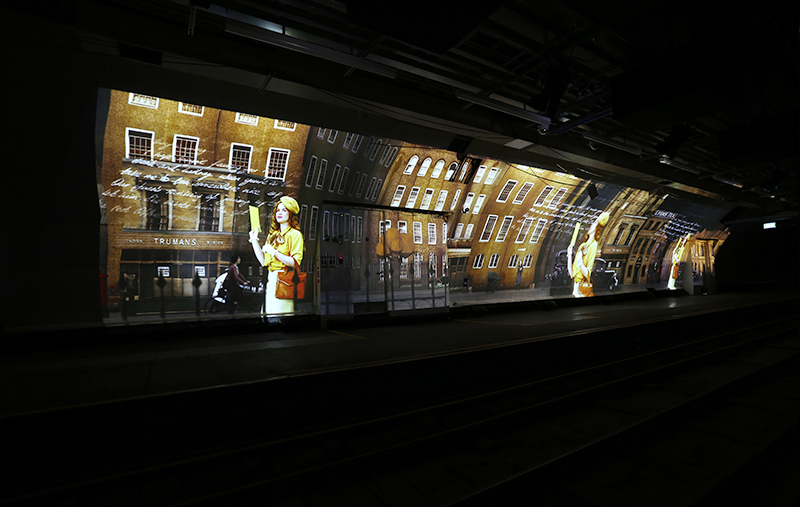 Blending archive, motion graphics and character voice performance to create a truly immersive journey, this 18-metre projection captures Mail Rail’s unique sense of place and personality as well as its story. 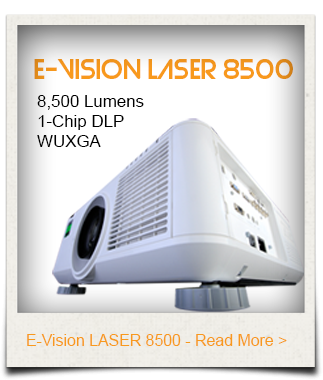 The projection features a 7,000 x 1,200 resolution, warped and blended image utilising a 7th Sense Delta Infinity Server and powered by five Digital Projection E-Vision Laser 8500 projectors. The installation was not without its complexities and challenges, largely down to the underground environment – which meant systems needed to be particularly robust. 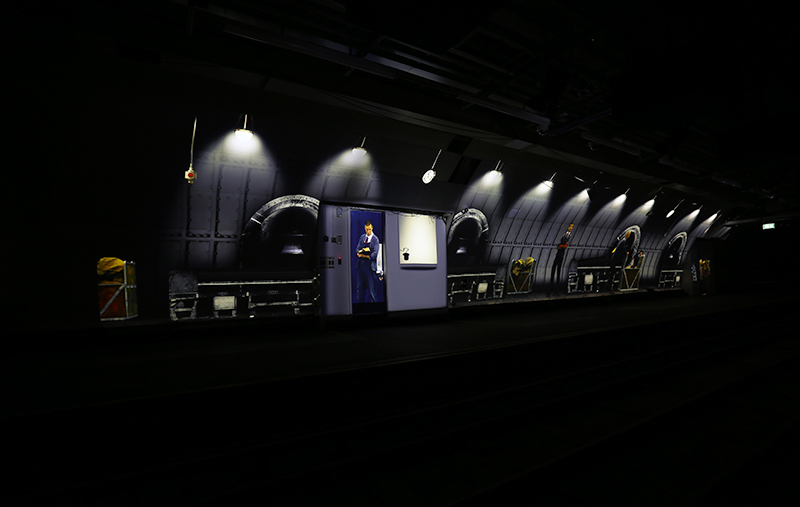 With the equipment at risk of exposure to dust, humidity and temperature fluctuations, custom environmental housings from VizBox were developed to mitigate this risk, deploying Digital Projection’s previous experience with projector housings for the London Underground during the design process. 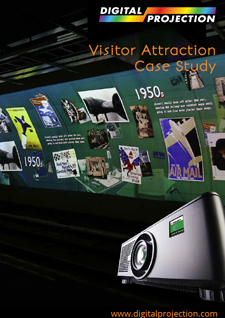 Emma Harper, Exhibitions Officer at The Postal Museum, elaborates on how Digital Projection’s products contributed to the Rail Mail experience: “The AV hardware was critical to the success of this project, providing the backbone to the exhibition and ride experiences. Our key aspiration was to connect people through the evolving story of communications past and present, and show that postal heritage is of interest and relevance to everyone. Bringing the Mail Rail platforms to life played an important part in that, particularly as there are a limited number of artefacts available from what was very much a working depot, but 3D projection mapping really helped us to achieve this.